Cheryl Delostrinos is a Filipino American born and raised in Seattle. She is one of the co-founders of Au Collective. Delostrinos began her training at Kathy’s Studio of Dance, The Pacific Northwest Ballet, and Cornish College of the Arts. 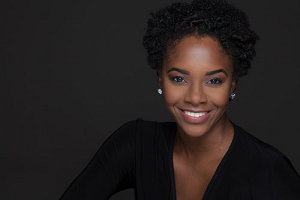 She has had the privilege of studying with the American Ballet Theater, Alonzo King Lines Ballet, ARC Dance Productions, the American Dance Festival, Doug Varone and Dancers, and the Alvin Ailey School in New York. In 2013, she graduated with a B.A in Dance from the UW and was awarded the Evelyn H. Green endowed scholarship for artistic merit and promise. As a professional movement artist, she has worked with Prism II under the direction of Sonia Dawkins, the Chamber Dance Company under the direction of Hannah Wiley, and collaborated and toured with the Pat Graney Company. 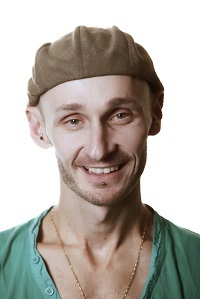 Delostrinos has presented many works for festivals and events in Seattle and New York, including The CHIN Project at the 92ndst Y, the NW New Works Festival, SAM Remix, and the Beacon Hill block party. She is a cultural worker and movement educator with SAAS, Arts Corps, Yesler Community Center, and Coyote Central. Delostrinos has devoted her life to creating and fostering art spaces that are accessible to marginalized communities. She believes that art in not a privilege, it is a right. She passionate about creating a platform for the youth to access the tools they need in order to empower themselves to become the future leaders of this world. David Kim Warburton (김모세) is the Director of Touring and Business Development for the Royal Winnipeg Ballet (RWB), Canada’s oldest premiere ballet company. He is responsible for the company’s overall tour strategy, including national and international touring, guest engagements, and events. He is chair of the Shows Group, a planning group responsible for all upcoming seasons, tours, and special projects. As a member of the senior staff, he is directly involved with the organization’s operational affairs, such as government relations, strategic planning/renewal, collective agreement negotiations, budgets, and policy. Warburton represents the RWB on the Canadian Dance Assembly (CDA), the Canada-China Joint Committee on Culture, the International Society for the Performing Arts (ISPA), Association of Performing Arts Presenters (APAP), and Dance USA. He has successfully led the RWB in developing new and existing relationships with presenting partners and key stakeholders, effectively growing the company’s performance opportunities and presence abroad. He has also led the RWB to increase its participation within its respective peer group to further help support artists and other dance institutions. Previously, Warburton has experience as a company manager, production manager, technical director, and production stage manager in the areas of theatre, dance, and music. He has worked with such organizations as Electric Company Theatre, Boca Del Lupo, American Conservatory Theater, The Virtual Stage, Vancouver Playhouse, Shadbolt Centre, Theatre Under The Stars, and the 2010 Winter Olympic and Paralympic Games. He has also worked closely with the City of Vancouver, Vancouver Parks Board, and Live Nation Entertainment on special events and concerts. In 2015, Warburton co-created the national award-winning play SANGJA, closely inspired by his adoption story and his search to find his birth family. The play premiered in Seoul and has since twice toured throughout Korea and Canada. SANGJA will be remounted in Korea in the summer of 2018. He has been invited to guest speak about his work and experiences as an international transracial adoptee in Vancouver, Toronto, Montreal, and Seoul. DeMar Walker is one of the Associate Artistic Directors of Ko-Thi Dance Company and Ton Ko-Thi Children’s Performing Ensemble. 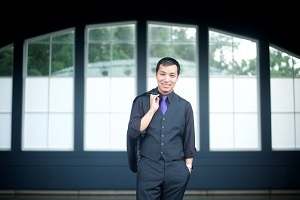 He is responsible for teaching, training, and choreographing for both ensembles. Since becoming a member in 2010, his performance credits include: “Words from the Sole”, “The Sweet Grass Project”, “IMANI: A Tribute to West Africa”, & “VIBRATIONS: Rhythmic Motion”. He is trained in Hip Hop/Street, West African, & Afro-Caribbean techniques. He has a Bachelor of Arts Degree in Journalism and Theatre Arts from the University of Central Arkansas where he performed in the following productions: “Answers”, “The Threepenny Opera”, “The Story”, and “The Colored Museum”. He is a two-time participant of the apprenticeship program Public Allies Milwaukee and three-time recipient of the Danceworks Intensive Study Scholarship receiving training in ballet, contemporary, & hip hop techniques. He has also received rave reviews from local publication for his works “To the Morning”, “Solemn Games”, “YIN/YANG” , “The Beckoning” & the musical “Black Nativity”. He is an original cast member of the theatre production “PIECES: In My Own Voice” which focuses on raising mental health awareness in the African American community. Since 2014, DeMar has been an Associate Artist/Lecturer in the Peck School of the Arts/Department of Dance at the University of Wisconsin-Milwaukee. With a passion for service & advocacy, the Milwaukee native has worked at various non-profit organizations including Cardinal Stritch University’s Lifetime Learners Program, Social Development Commission, and the Free & Community Clinic Collaborative. He also serves as an adult basic education tutor for Literacy Services of Wisconsin. In 2017, he was selected to participate in the inaugural cohort of Campaign for Black Male Achievement’s Building Beloved Community Leadership Fellowship to increase capacity around local & national civic work for Black men & boys. DeMar plans to pursue graduate studies with an emphasis on Black dance theory and its societal impact on communities throughout the African Diaspora. A Twin Cities, MN native, DeMarcus Akeem Suggs is an artist, administrator, and agent of change. He began his professional dance training under the tutelage of Katharyn Horne, Maryann Mee, and the late Marcus Sherman. He continued his studies at Masterworks Festival and the USA International Ballet Competition & School. In 2011, he received his B.F.A. in dance from Belhaven University where he was a full-tuition scholarship recipient. 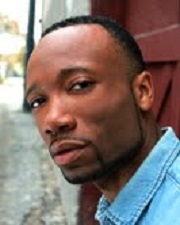 While at Belhaven, DeMarcus was selected for the 2009 Bezalel Award for Outstanding Artistic Achievement and was also a member of TALK Dance Company with whom he toured internationally. Upon graduation, Mr. Suggs joined Dayton Contemporary Dance Company (DCDC), where he danced for three consecutive seasons. During his time with the company, he was honored by his colleagues with the Josephine (JOSIE) Schwartz Award for his pursuit of artistic excellence both on and off the stage. He has been featured as a guest artist with Brown Dance Project, Masterworks Festival, Dayton Ballet, and most recently, Neos Dance Theatre. Meanwhile, his choreographic works have been performed by Stivers School for the Arts, Sangre de Cristo Ballets, the Dance Department of Ohio Northern University, and both DCDC’s professional and pre-professional companies. DeMarcus has been recognized for his passion for maximizing the effectiveness within organizations and their impact on communities in which they serve. He has gained invaluable professional experience through his work with The Victory Project, Victoria Theatre Association, and Neos Dance Theatre where he currently serves as Director of Education and Outreach. 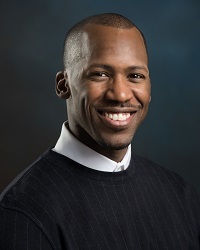 In his current position, Mr. Suggs spearheads the organization’s newest endeavor: Neos Center for Dance, a comprehensive dance training institution in Oberlin, OH. Kayla Hamilton is an artist, producer, and educator originally from Texarkana, Texas and now reside in Bronx, NY. Kayla earned a BA in Dance from Texas Woman’s University and an MS Ed in Special Education from Hunter College. She is a member of the 2017 Bessie-award nominated cast of the Skeleton Architecture, the future of our world's curated by Eva Yaa Asantewaa and that same year won the Bessie Award for Outstanding Performer with Skeleton Architecture. In addition to Skeleton Architecture, Kayla dance with Sydnie L. Mosley Dances and Gesel Mason Performance Projects, teach master classes around the United States, and the recipient of Angela’s Pulses’ Dancing While Black 2017 Fellowship. 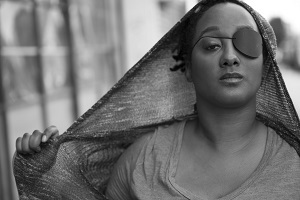 Under the name K. Hamilton Projects, Kayla self-produced numerous projects over the last ten years including the sold-out Nearly Sighted concert at the Bronx Academy of Arts and Dance, organize community events, and write arts integrated curriculum throughout NYC. When Kayla is not dancing, she's a special education teacher at the Highbridge Green School who loves to watch Law and Order on Hulu while sipping on peppermint tea. Kim Savarino is a Brooklyn-based artist. Her work is based in inquiries of continuous motion and the creation of space for sustained questioning, and her artistic and administrative practices are rooted in a commitment to anti-racism, equity, and advocacy. Savarino joined Third Rail Projects as a company member in 2014. She currently performs leading roles in their critically acclaimed immersive production, Then She Fell, and is an Assistant Producer for their newest immersive work, Behind the City. 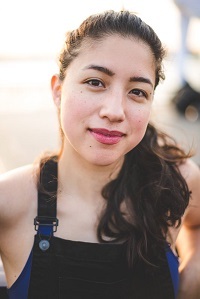 In addition to performance, Savarino works as the Program Associate at the MAP Fund, supporting artists and facilitating MAP’s annual grant cycle, and advocates for dance as co-chair of the Dance/NYC Junior Committee. She co-organizes an ongoing monthly gathering of Asian identity activists, artists, and advocates—established in May of 2017—that developed out of anti-racism trainings through the People’s Institute for Survival and Beyond. State University, and trained at the San Francisco Conservatory of Dance. She is Chinese-Sicilian-Appalachian-American and a proud member of Alternate ROOTS, and makes dance films at @kasavvy. She was born in Southern California and raised in West Virginia. Niya Nicholson is dedicated to intersectional and equitable social justice work within the arts field and beyond. As a budding arts leader and creative entrepreneur, her work centers long-range strategic planning, fundraising, and policy-based advocacy within the nonprofit sector. Her fervor for the arts was cultivated by former dance educational studies at Fiorello H. LaGuardia High School of Music & Art and Performing Arts and her B.A. from Vassar College with concentrations in Psychology, Africana Studies, and Educational Studies, coupled with educational, legal, and performance research in Chicago, Cuba, and South Africa. Niya serves Gibney and MOVE(NYC) as a development professional and is Co-Chair for the 2017-18 Dance/NYC Junior Committee, founding its first Mentorship Program. Additionally, Niya is the founder and steering member for Gibney’s Equity Action Committee, and a member of the inaugural Dance/NYC 2018 Symposium Programming Committee and Ad Hoc Committee on Sexual Harassment. With her skillset, Niya also supports artists and emerging companies with freelance development, branding, and programming services. She is proud to be a 2018-19 Dance/USA Institute for Leadership Training mentee and to serve the dance field as a panelist for The New York City Department of Cultural Affairs’ FY19 Cultural Development Fund. Niya is the recipient of the inaugural Vassar ALANA Exemplary Commitment to the Arts award, and presented artistic work at the Black Girl Project 2015 Sisterhood Summit: “When We Free: Black Women, Girls & Emotional Emancipation!” and at the "Cosmic Possibility in Black Speculation" 2016 conference at Vassar College. Niya looks forward to continued arts advocacy, communal building, connections to ancestry and space, and shaping the arts and cultural sector in her native New York City and beyond. Buena Center for the Arts, SF. Her teaching credits include FSU/World Dance Festival, American College Dance Festival, ODC in San Francisco and various schools and arts organizations throughout the Bay Area in California, including Destiny Arts Center and Youth In Arts/ VSA. She is grateful to have her first original solo, Timeline, directed and co-choreographed by best friend, Leymis Bolaños Wilmott, awarded as the first EDGE artist- in- residence for Counterpulse, San Francisco and most recently presented it with Sarasota Contemporary Dance in Florida.